The Anterior Cruciate Ligament – or the ACL is the most commonly injured ligament in our knee. Surgery for an anterior cruciate injury has unfortunately become commonplace. An ACL tear and resulting anterior ligament surgery can challenge the toughest young athlete. Anterior cruciate ligament surgery is far from routine for many surgeons. Now more than ever before you need to know as much as possible about your ACL surgery options. At the bottom of this post are the essential questions you will need to ask if you or your child are considering ligament reconstruction surgery. There are many reasons why ACL tears are increasingly more common. We have a loss of seasonality in sports prone to cruciate ligament injuries. Our sports are no longer seasonal. Our soccer and lacrosse players now play year round. There’s no rest and their knee ligaments are not getting a chance to recover. Single sport specialization is a creation of modern times. Our athletes were not meant to play only one sport year round. Most elite athletes today specialized in many sports when they were young. By concentrating on a single sport year round we are causing a lot of stress on some of the weakest links in your body. Anterior cruciate ligament tears are more common in children who focus on a single sport. We also know that many people are predisposed to tearing their ACL because of their landing,jumping and pivoting mechanics. Women are predisposed for many reasons. Some of these can not be modified. Many women have a different anatomy that sets them up for ACL tears. The ACL is one of the four strongest ligaments in our knee. It sits in the center and is made of a very tough tissue we call collagen. The ACL keeps our knee stable for sports involving pivoting, turning and twisting at rapid speeds. The ligament is actually made up of two pieces or bundles of ligament tissue. Sometimes an injury to your anterior cruciate ligament only involves one bundle and we refer to that as a partial ACL tear. More on partial ACL tears. Why Did My ACL Tear? Most ACL Injuries occur as a result of a non-contact twisting injury. You pivoted, you heard a pop, and likely fell to the ground. Get the ice… and the crutches. The swelling can be impressive. In athletes under 25 years of age, a twisting injury, feeling a pop and noticing a swollen knee a little while later carries a 75% chance of an ACL injury. Does a good sports doc need an MRI to prove that you have suffered an ACL tear? No. Our exam of your knee can tell us that. But we do obtain an MRI following ACL injuries. We obtain an MRI because 1. you expect it.. and 2. to make sure that you have not injured anything else- such as a meniscus or the cartilage on the ends of the bones. Do I Need ACL Surgery? If you are an athlete who participates in sports involving cutting, pivoting, turning and twisting there is a strong likelihood that you will require ACL surgery. If you’re older, and you’re willing to modify your lifestyle to suit your limitations, then you may get by without it. Children almost always end up having ACL surgery. The scientific literature shows that children are very likely to suffer secondary injuries to the knee if their knees are not stabilized prior to return to activities. Why are you recommending ACL surgery? There is very little debate about how to treat an anterior cruciate ligament tear in a young athlete. Most doctors would recommend an early reconstruction. Many studies show that children are at a high risk of causing more damage to their knee if ACL surgery is not performed and the knee remains unstable. For those of you beyond 30 you may have a difficult choice to make. It is clear that all tears do not require ACL surgery. Are you being told that you need it fixed simply because it is torn? What about lifestyle modifications, activity modifications, therapy and bracing? What is the anatomical method of ACL Surgery? 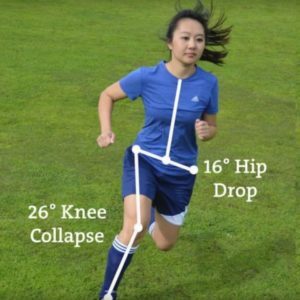 : As you read about ACL surgery you will see references to many different techniques. Our thoughts about how to fix an ACL are changing. Surgery to replace a torn torn ligament have evolved A LOT over the past 5-7 years. Older methods did not place the ligament where nature intended it to be. Many sports docs are very knowledgeable about these latest technique modifications. This is an area of much interest. You should feel open to talk with your surgeon about what type of reconstructive surgery they perform. anatomic versus traditional ACL surgery. Most surgeons have transitioned to an anatomic reconstruction. 2. Autograft – tissue from your own body. The literature surrounding the use of allografts, especially in young patients has demonstrated a failure rate approaching 40% in some series. Bottom line, unless there is a strong reason why you can not use your own tissue (autograft) then you should probably not use allograft. Click here to learn more about ACL graft choices. In the autograft category we have two main choices- a portion of your hamstring tendons, or the center of your patella tendon. Both grafts work well and stand the test of time in a properly performed surgery. 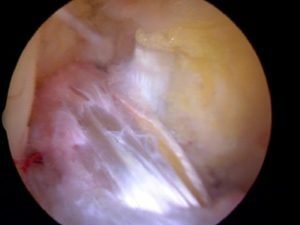 A patella tendon graft certainly hurts more, but that may be worth it in certain individuals. Research is starting to show that a hamstring harvest in women may not be a good thing for a high level athlete. Women tend to be quadriceps dominant… so the front of their thigh is stronger than the back where the hamstrings are. It stands to reason that we do not want to make them even more quadriceps dominant by harvesting their hamstring tendons. In some people, especially elite athletes, a hamstring graft can produce weakness. While barely perceptible to most, some will notice the difference. Over my career the pendulum has swung from patella tendon grafts to hamstrings and it appears to be swinging back once again to patella tendon grafts. Have a long discussion with your physician.. question why they suggest a certain graft. This is especially true if considering ACL surgery with an allograft. Should I start therapy before my ACL surgery? Yes.. prehabilitation can get your knee ready for the procedure and start the muscle reeducation process. Early research shows that PT before surgery improves your results after surgery. A flexible strong knee going in eases some issues following surgery. ← Is LinkedIn Right for Doctors? What is best recommended for a graft if i am a track, mid-distance/ Relay runner and if i play Soccer. There is no “best” graft choice. Good choices for you include the quadriceps, patella tendon as well as a hamstring graft — especially if only one of the two hamstring tendons are harvested. I would probably avoid an allograft in your situtation. Hi Ive had a Hamstring graft and have returned to Mixed Martial Arts. Im female and trying to compete again. Its been 14 months since op and im finding my knee is swelling after training a lot. I’m icing it but it does not get any better so I then have to rest, it gets better then I return and when the training gets quite intense its starts swelling again and getting sore. Ive noticed a weakness in my hamstring that the tissue was taken from so am working on strengthening this. I am desperately trying to get back to competing, what do you think is wrong? Hi, I’m sorry Cherie but I can not provide specific diagnoses or treatment recommendations to people who are not my patients. did! Many thanks for the useful information. What is your opinion on Patella or Hamstring tendon to reconstruct the ACL for an 18 year old elite athlete who has played travel basketball and baseball since they were 8 years old. Athlete is not sure if he will continue to play at a high level after HS. i am considering the hamstring graft based on the research and potential long term issues with the Patella tendon and knee pain. If you select the hamstring method should a 2 or 4 tendon graft be used for a stronger ACL and better results. Is there a certain diameter (i.e. 7mm) of graft that is required that determines if a 2 or 4 hamstring tendon is required. Are their any concerns or risk of of using 2 or 4 tendons for the ACL reconstruction for the knee or hamstring. Hi Carlos … Please read through our Expert Series post from this past fall on graft choices. I, along with many others might prefer your patella tendon. Taking a hamstring in an elite athlete might lead to weakness issues. 9-10 mm is the minimum size I would settle for in you. Hello! My name is Jose and I have a few questions to ask you. 1. I am 7 months in recovering from an ACL reconstruction, the hamstring graft was used, and I was wondering when I could play soccer? I feel very stable and have gained a decent amount of muscle to support my knee. The ACL tear was on my dominant leg. 2. How firm is the new ACL graft? 3. Would my ACL graft tear throughout constant pivoting as I steer my way towards playing soccer? My surgeon told me that the ACL reconstruction was a total success and that I will be able to play in no-time. -Thank you very much for your time. Hi Jose … there are many tasks or tests that I ask my ACL patients to perform before determining when they can go back. Strength is only but one criteria. I would speak with your therapist and your surgeon and ask them to assess you. Myself Lokesh aged 28 and working as Software Engineer. I recently fell from the bike and tried walking on the leg but knee gave up immediately. But i haven’t had any pain in Knee neither the swelling(Does it indicate my ACL tear is old one). My Pain was below the knee and that was due to buckling. I did some excersizes and my pain is reducing and i am able to walk on my leg. Last week i visited surgeon he suspected miniscus tear and sent me to MRI but unfortunately both my Miniscus were intact but my ACL was torn(Full thickness) . So surgeon suggested for surgery the reason being to prevent arthritis then i met one of the reputed surgeon he was also in the opinion that I should go for surgery to prevent early onset of OA. I just learnt that the surgery is to stabilize knee but not to prevent OA. I need to wait for some time and see how my knee does, Doctor has suggested for surgery after 1 month once the pain is settled and ROM of knee is back. Could you please advice me ? I am more inclined towards re habitation without surgery but since 2 surgeon opined that surgery is the way to go i am confused. An ACL reconstruction will not prevent OA from starting. It will keep the knee stable so you do not tear your medial or lateral meniscus. If you develop a meniscus tear, then the arthritis might develop faster. You can try rehab… but if your knee remains unstable, you can then talk to a surgeon about a reconstruction. I am a healthy 64 year old woman who loves to ski/snowshoe/hike. I tore my ACL 8 years ago and did not do reconstructive surgery. Have been skiing and very active with no problems until two weeks ago. While skiing, I twisted my knee and after MRI it shows in addition to the completely torn ACL for 8 years, I now have sprained MCL and torn meniscus. Surgeon is recommending ACL reconstructive surgery – moderate arthritis is evident. Should I be reluctant to do the surgery at my age – I do not want to have to give up skiing/snowshoeing and hiking but cannot resume that activity without the surgery as I am unstable on the knee. I am getting mixed recommendations because of my age. I would be very cautious about having an ACL recon in your setting. No harm in trying PT/Rehab and see if the knee remains stable. If the knee becomes unstable, then you have a decision to make… but the Osteoarthritis will complicate issues significantly. Thank you very much for all this useful information! I hurt my knee skiing 3 and a half weeks ago. I felt a pull and was not able to walk on it. I rested it for 2 weeks until I saw an orthopedic surgeon who advised me to walk on it and he advises surgery (for torn ACL and meniscus tear). I had a lot of swelling and liquid in the knee. I can easily put weight on it but walk with a limp. I do light exercises to increase the range of motion but still cannot straighten my knee fully or bend it completely.It also feels numb when I go up and down stairs. Do these symptoms show that surgery is possibly best? I am active and don’t want to change my lifestyle. A biokineticist and a chiro also felt my knee and they both thought the joint feels tight for a knee with a torn ACL. I am in a different country to you otherwise I would make an appointment! So, any thoughts you can share I will greatly appreciate. HI Nicky … Until you have gone through physical therapy to restore your motion you will not know if your knee is stable or unstable. After your therapy you will have a far better grasp of how the knee feels and whether or not a reconstruction is needed to return to an active lifestyle. An ACL graft that is put in loose or mal-positioned is just as bad as having no ACL at all. If the ACl is not functional then it will not stop your son’s knee from giving way as it did. Braces, sadly, do not prevent buckling during sports and can lead to weakness due to the compression of the muscles around the knee. Every time the knee gives way, it risks tearing a meniscus or injuring the articular cartilage on the end of the bones. I would consider another opinion or two… revision ACL surgery is trickier than the initial surgery. You would like to be under the care of someone who performs many revision procedures per year. My son is 15 and he had a parcial ACL tear and he did not get surgery because his growth plates need to grow he was wondering if he still needed to wear a Bracehe dosent fell no pain he can run good and he’s doing Great he already tried not using the brace and he felt good playing soccer and his shin guards don’t fit him. Does he need to ware the brace or can he stop using it? Probably not… but you should discuss this with his doctor since I can not examine his knee. I play soccer and hockey, I’m a goalie in both, and I’m actually on my way to get my surgery,… To get back on the ice… What can u help me with? HI Jane … Being “active” is very subjective :-) If you run, garden, cycle etc that is all great– and might not need to consider an ACL reconstruction. If you climb mountains, play in an adult competitive soccer team, etc then you might have an issue with stability. Bust course of action following an ACL tear, with or without meniscus tears is physical therapy. Get the leg strong, allow the inflammation to go away, use a brace only if the knee feels unstable. Consider using a cane or crutch if it unstable all the time. The only people who need to consider ACL and or meniscus surgery are those with symptoms (pain and instability – which persists after PT). Your comment about “Bottom line, unless there is a strong reason why you can not use your own tissue (autograft) then you should probably not use allograft.” Does this hold true for a 47 year old female that runs, cycles, does crossfit and occasionally practices soccer with her sons? Is the hamstring of a 47 year old strong enough to overcome the trauma and act as a substitute ACL? An allograft is an appropriate graft in those circumstances… As long as it hasn’t been terminally irradiated (weakens the graft). Thank you for your reply. I am tempted to go with a hamstring graft, because it is my understanding that they are stronger than an allograft (and I would like to return to skiing, which is how the injury occurred in the first place). Would age alone exclude someone from this option? Or is it really only a matter of preference? I am 15 years old and i am almost 4 months from my surgery date. Its almost summer and of course i am going to the beach, but i was wondering am i allowed in the ocean? i know i should ask my doctor, i will but i didnt want to hear bad news from him directly. I have to wear my brace for ever, pretty much the whole summer until i see him again in August. do you think i will be able to go swimming in the ocean like a normal vacation? I am going at the end of July and then again in the beginning of August. Not the best idea … you need to prevent the knee from buckling or giving way. If it gives out just once or twice you risk injuring other structures in the knee… which could affect you for the rest of your life. Good Luck ! I’m 46 years old and was diagnosed with a tear involving the posterior horn and body of the medial menicus. This results in medial extrusion of the medial meniscus. A 1 cm gap is seen within the posterior horn of the medial meniscus in the area of the tear. There is a complete tear of the acl. This is most likely chronic given that the majority of the ACL appears to be degenerated and absent. There are severe changes of chondromalacia patella. There is a moderate size knee infusion. There is moderate cartilage loss within the medial knee compartment, consistent with changes of degenerative joint disease. There is also a Bakers cyst. Do you recommend surgery? If so what type of acl replacement should I have. Allograft or autograft. I would like to return to hiking n the great outdoors but my knee lacks mobility and the swelling never goes away leaving it stiff and it gives away but remarkable I’m not in a great deal of pain. I feel like they misdiagnosed my knee in regards to Degenerative joint disease. Wouldn’t I be in a lot of pain if that was the case. There saying a knee replacement will be necessary in the near future. My mother had a knee replacement and it was due to degenerative joint disease but she was in a great deal of pain. I’m not and this makes absolutely no sense to me. I’m aggrevated. Wouldn’t someone with degenerative joint disease be in a lot of pain. Don’t get me wrong I’m thankful I’m not in a lot of pain but because I’m not in pain is the reason this diagnosis seems wrong. Please reply. Things just don’t make sense to me. yikes… go very slowly. Operating on an arthritic knee can cause the arthritis to worsen- or become symptomatic. There are plenty of people walking around with arthritis despite the fact that they have no pain. I have a complete tear of my ACL, which I did 2 weeks ago skiing :-( . Good news is no damage to my MCL or meniscus and only a small amount of bone damage. I am getting about pretty well but feel some instability. PT said there is alot of movement of the knee but that my range of motion is good. I am a 45 who is reasonably active. Whilst I don’t play competitive sport I do run and occasionally dance (plus ski) and run around after 3 young kids. I am trying to work out if surgery is a good option for me. I would appreciate any thoughts as it feels like a rock and a hard place! Sorry Clare… I really can’t comment on specific treatment recommendations. If instability is an issue then surgery is an option to consider. Is it common for the ACL replaced knee to still have more joint play/anterior tibial translation compared to opposite non operated knee? This article was very informative and helpful to me.My doctor hasn’t talked much to me about my upcoming acl reconstruction surgery. I tore my acl two weeks ago, and I have a surgery scheduled two weeks from now. I feel no pain in my knee anymore and I am able to walk,sit, squat and even jog for a few minutes. My knee hasn’t given out on me so far, swelling has been slowly decreasing as well. My question is.. is it safe to do a little bit of jogging before my acl surgery? I have been on strict healthy diet(minimum portion), i was wondering if i can continue this past the surgery?